Life is a party, they say. And, when in Playa de las Américas, southwest of the municipality of Arona, it can’t be more accurate. Not only is it Tenerife’s largest beach resort, but it is also called the island’s nightlife center. With its 24/7 festivities and endless bustle, it has rightfully earned that title. The seaside town is overflowing with fun from its waters, beaches, up to its streets. It isn’t only for the party-hungry though, as it dons a family-friendly cape too. There are plenty of activities and establishments for everyone. Yes, for the little ones, the young, and young at heart. Because party knows no age limit. 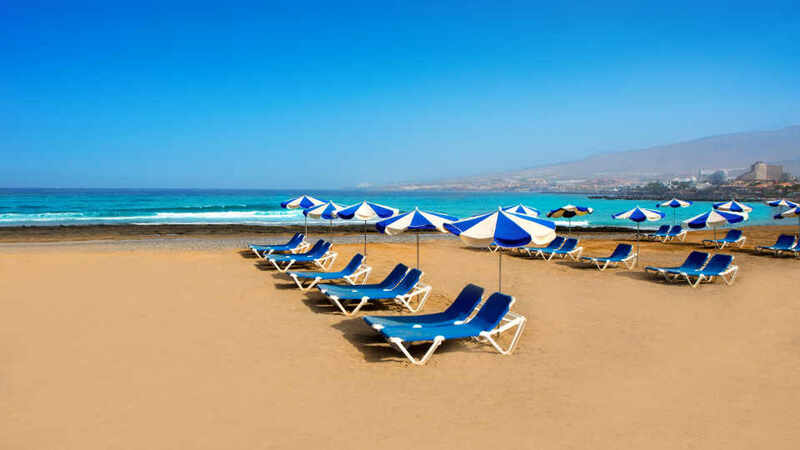 Like most beach resorts in the Canaries, Playa de las Américas was once a simple fishing village too. Far from its present grandiose visage, it had a stretch of black volcanic sand that is pebbly in some areas. Even then, it was splendid. It had an untouched appeal that was further beautified by surrounding scenery. That was, of course, before the tourism tsunami hit the whole archipelago. It was no doubt a vision, but, to launch it as a world-class tourist center, it needed enhancements. When it comes to seaside havens, the first thing that comes to mind is a shore gleaming with fine golden sand. So, in the 1960s, the original playa was overlaid with imported Saharan sand. After the facelift, different establishments cropped up. And, development in this once quaint village turned mega resort hasn’t stopped since. Tenerife’s biggest tourist paradise has gone through excessive expansion over the years. It now has three districts – the original Playa de las Américas, San Eugenio, and Torviscas. The desert that separated it from the nearby Los Cristianos has also been eaten up by its tremendous ‘growth’. As such, the two giants are now already adjoined. Nightlife is synonymous with Playa de las Américas. Not one of the many resorts in the archipelago can compare to its brand of late night entertainments. Even so, the oceanfront wonder is a great family-friendly resort too. Rarely is it called as such, but it has the amenities suitable for every member of the household. Why Playa de las Américas when there are plenty of others on the island? Here, couples can be loving parents during the day and drinking buddies by nightfall. Guests can also either play by the beach or go plummeting down a slide in the water parks near the town. How about a 5-star dining experience after a game of golf? Or an exciting boat excursion before going full throttle with a go-kart. Whether it be by the beach, in the town, or on a yacht, wholesome or otherwise, this seaside marvel has got it covered. Now that’s quite hard to outdo, isn’t it? Playa de las Américas house six different beaches, three natural and three man-made. Most of them have amenities and offer watersports that are distinct from the rest. Those who can’t make up their mind can walk along the long stretch of promenade. They can look around for the seafront that suits them best. Food and lodging establishments, which they might want to consider, are here too. Playa de Troya is the most popular amongst the six as it is the most idyllic and convenient. The mighty Atlantic waves subside after crashing onto breakwaters that protect the cove. Hence, its golden sand beach always has gentle waves that make it perfect for swimming, even for kids. Convenience is also essential when a beach is one of many spectacular beaches. Its spacious shore has loads of rental sunbeds, parasols, and a big enough area for some fun on the sand. Also, it is a part of a lengthy promenade that is packed with restaurants, cafes, and bars. 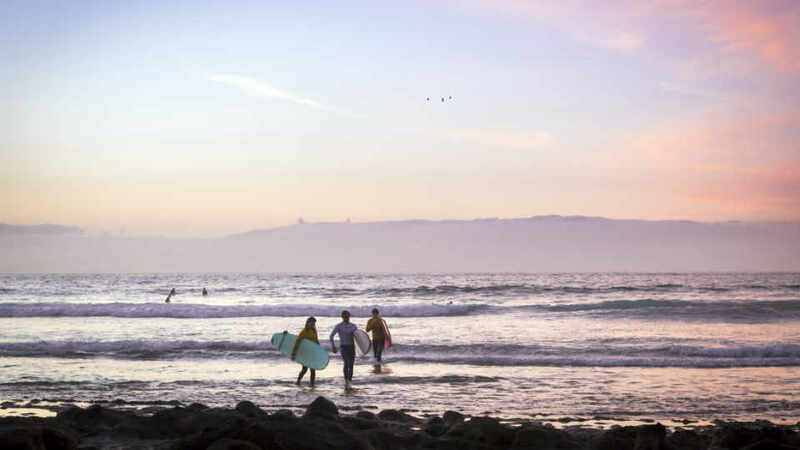 To ride waves, tourists must head to either Playa Honda or Playa de Las Américas. Without any barriers, these beaches are unprotected from the ocean’s wallop. Their reef breaks, though, shatter giant waves into barreling ones that makes it ideal for surfing. There is also no shortage of surfing equipment rental shops too. Playa de El Bobo is the northernmost beach of Playa de las Américas, while Playa del Camisón is at the southern tip. These two are the ‘quieter’ seaside of the resort, which makes them more favored by families with kids. Because their bays are protected, the calm waters are suitable for swimming. What’s more, both are decked with sunbeds and tiki umbrellas. There may be fewer activities on these beaches, but they exude exotic island appeal. Playa del Búnker-El Guincho or simply Playa de Guincho has a rocky shore and is a bit secluded. Although not the place to sunbathe, adventurers can kite and windsurf in its waters. Deposits of mollusks formed around 100 thousand years ago are also found here. As such, it was declared an Asset of Cultural Interest in the Paleontological Zone category in 2007. This is the reason why the secluded oceanfront has not been affected by tourism. Playa de las Américas’ nightlife is famous all across Europe. People from everywhere, even other resorts, march here to party and go clubbing all night. Everything needed for a nocturnal holiday is here. Neon lights, loud music, nightclubs, and bars all come alive as soon as the sun goes down. There are three nightlife hubs in the area – Veronica’s Strip, Starco Centre, and the Patch. The first two are more preferred by the younger crowd, while the last is popular amongst over 25’s. What is a holiday without shopping? For many, that is impossible. What of the souvenirs they need to take home or all the good buys they’d miss? Indeed, most people have mastered the art of spending and purchasing. And, in Playa de las Américas, that is one passion tourists can fully practice. The resort’s commerce industry is at the town center, and it’s bustling. There, visitors get to luxuriate on international and signature brands. They can also sharpen their haggling skills at the Americas Torviscas Market. Every Thursday and Saturday, this bargain oasis and its stalls and stalls of good deals open. 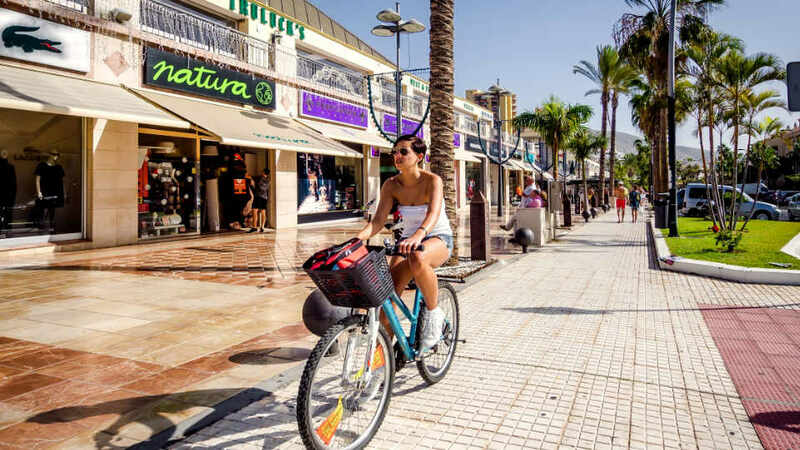 As the Canaries’ tourist mecca, a great selection of bars, restaurants, and clubs are in the town center too. Tourists can dine when hunger strikes while they’re shopping. They can also party or enjoy drinks after their buying extravaganza. In the party capital of Tenerife, though, visitors don’t shop till they drop. Instead, they shop then drop by a pub. Opened in 2004, the Central Park of Arona is a 42,000-square-meter public park. This pleasure garden is fantastic for tourists who prefer tranquil leisure walks. It has pathways lined with macadamia and tamarind trees. There are also more than 40 species of palm trees mixed with other vegetation fit for a tropical Eden. The park isn’t only for walkers and flora enthusiasts. Kids especially enjoy this place because of the several playgrounds found here. It also has squares and parking areas. Frolicking in the clear waters and indulging the town’s nightlife is enjoyable. But, there are also other fun activities and places to see. When in Playa de las Américas, there’s no reason to limit one’s self to the usual beach pastime. There are plenty of choices for travelers who prefer make the most out of the azure Atlantic. As mentioned, swimming, kite and windsurfing, are the hot water activities here. Other water sports like jet skiing, scuba diving, paddling, and snorkeling are also catching up. Boat excursions are particularly famous amongst families and groups. They can hop on a yacht for whale and dolphin watching cruises. A visit to the magnificent seabed on a submarine is also quite trendy. There’s even a pirate boat trip for those who’d like to see the astounding coast in style – as an outlaw in the olden days. At the heart of the resort is the 18-hole course of Golf Las Américas. Tourists praise its superb customer service and challenging course with good variations. The price for hiring golf buggy and clubs are reasonable too. Aside from hitting hole-in-ones, other recreations on dry land are horse and camel riding, donkey trekking, hiking, and watching live shows at the Piramide de Arona. For more excitement, tourists can visit the nearby waterparks – Siam Park and Aqualand. From the capital Santa Cruz de Tenerife, tourists can take either bus line 110 or 111. 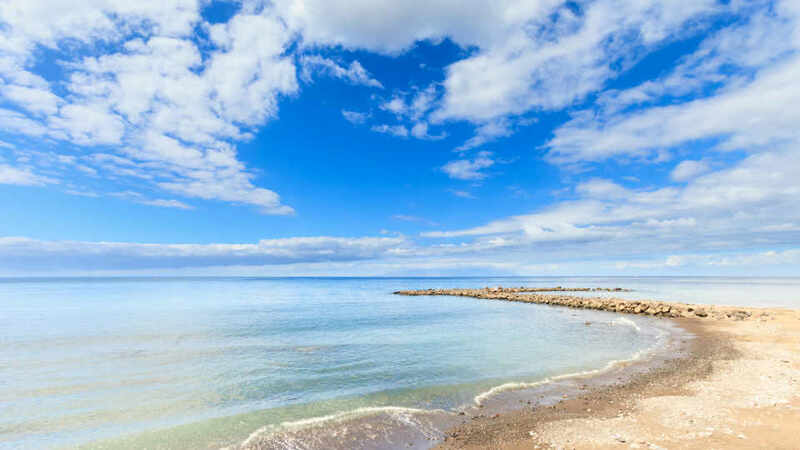 Its final destination is Costa Adeje, but one of their stops is Playa de las Américas. Those coming from Los Cristianos should ride either bus line 473 or 477 to Los Gigantes. They also stop at Playa de las Américas. All four bus lines depart hourly or even twice in some hours. Once at the Las Américas bus station, they only need to walk for around five to ten minutes to reach the beach area. Just before the promenade is the deluge of hotels and apartments. There’s never a scarcity of lodging options in Playa de las Américas. As the largest and premier resort in the island, guest satisfaction is of utmost priority. Whatever accommodation needs tourists have, there’s a flood of properties that can surely provide. Within the Las Américas Golf Course is the for adults only Hotel Las Madrigueras Golf Resort & Spa. For those who want luxury and tranquility, this is the place. Get pampered in the spa center which includes a sauna, hot tub, and Turkish bath. There’s also an outdoor pool if guests do not want to take the 12-minute walk to the beach. How does driving a buggy out the basement through private gates to the golf course sound? All rooms also come with satellite TV and a private balcony. Step out of the bedroom with wine in hand and admire the views of the golf course, the ocean, and La Gomera Island. For an easy on the wallet adults only hotel, Hotel Zentral Center is a great option. It’s a quick seven-minute walk from the beach and is beside Las Américas Golf Club. The property may not have luxurious amenities, but it certainly has all the essentials. For some relaxation, there is an outdoor pool, a hot tub, and sauna. Guests can also have a great time at the restaurant or the bar. After a tiring, yet fun-filled day, visitors can rest in an air-conditioned room that comes with a minibar. Of course, there’s also a TV, safe, and a private bathroom. The only thing that separates the H10 Las Palmeras Hotel to the beach is the promenade. The sand, sea, restaurants, cafes, and pubs are its next-door neighbors. For tourists who crave luxury and convenience, this 4-star hotel is the best. Going out is recommended when in Las Américas. However, guests who prefer to stay within the property can’t be blamed. There’s a lovely garden, 3 outdoor pools, 4 restaurants, 3 bars, and tennis courts. All rooms are also spacious and have a balcony, air-conditioning, and a satellite TV. For those who want cheaper accommodation with more space and less bustle, Apartamento Paraiso Royal is a good option. It’s only 5 minutes away from the beach. It’s also near other places of interest like Piramide de Arona and Siam Park. To go around the town, there’s a bicycle rental on the property. The one-bedroom apartment offers magnificent sea views guests can admire on the terrace. It also has one bathroom, a flat-screen satellite TV, and a fully-equipped kitchen. The usual problem in the food scene of Playa de las Américas is not having enough time to try everything. One can try a different cuisine in every meal of the day for several days, and it still won’t be enough to taste them all. This top-notch resort has restaurants to match. And, the gastronomic satisfaction it gives its guests help make it stay as one of Canaries’ best. Sushi Amore is the best restaurant in Playa de las Américas. And, most of those who have dined here claim that this cozy little place makes one of the best sushi on the planet. For non-sushi lovers, don’t dismiss it from the must-try list just yet. They also offer to-die-for miso soup, sashimi, spring rolls, gyoza, tempura, and tartars. For the finale, try the fried banana for dessert. Those who don’t mind spending a little more for food should definitely try El Molino Blanco. It’s a beautiful restaurant, but even its beauty doesn’t quite compare to the food they make. Their plates of European, Mediterranean, and Spanish delights are that good. And, with great ambiance and music, the dining experience is entirely unforgettable. Their must-trys include minestrone soup, bruschetta, chateaubriand, prawns, and rock salt baked steak. For dessert, try their lovely pineapple or banana flambé. Dining on a budget isn’t bad at all when there are restaurants like La Casita de Taby around. As it is one of Playa de las Américas’ most famous, diners are often shocked at its minimal menu. Well, the owners want to keep it uncomplicated here. This food haven serves excellent tapas and other Spanish dishes. Their best offerings include octopus and potato salad, sausage in cider, meat platter, and baked chorizo. Friends Lounge Bar & Restaurant is the place to go for authentic Canarian dishes. It has lovely furnishings and is very chic. It is also almost always full which proves just how popular it is. Be one of the many diners who sing praises about their selection of tapas, chicken tikka with a curry sauce, burger, lasagne with a prawn cracker on top, paella, and steaks. If there’s room for more, most definitely try their cheesecake. Playa de las Américas has everything tourists would want in a resort. Breathtaking vistas, jaw-dropping beaches, and hotels, restaurants, and facilities that can cater to every kind of guests. There are also different activities that are sure to keep visitors busy for many days. By daytime, there are loads of fun-filled, family-friendly pastimes available everywhere. But, once the sun shies away, neon lights light the town, lively music fill the air, and barrels of drinks are emptied. It is a town that never sleeps to give great holidays to its visitors. No, not just holidays, but experiences – the best and most memorable ones.